Three years ago, East Village favorite Benny's Burritos shuttered after 27 years in business. 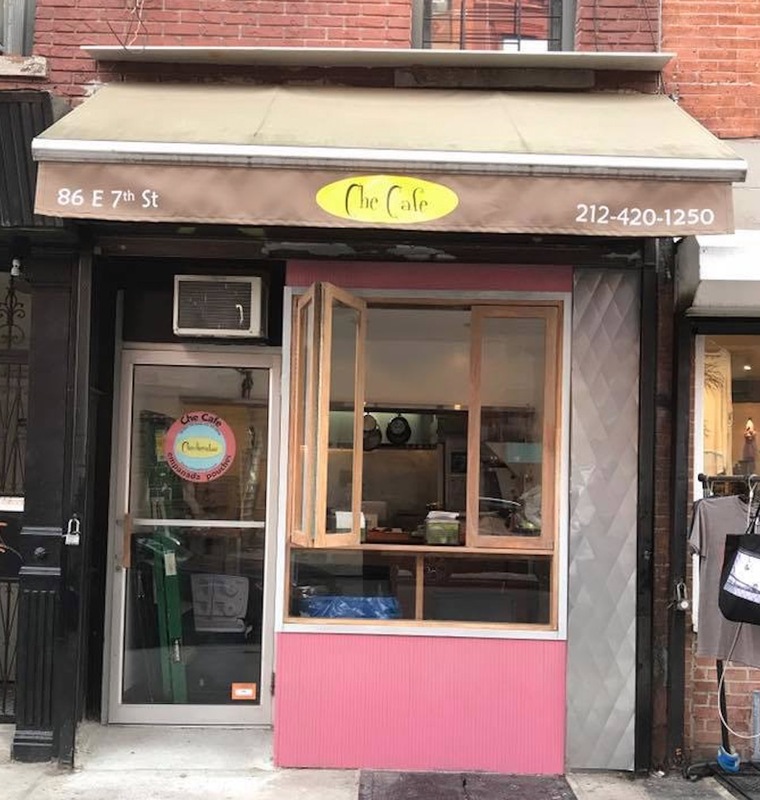 Last year, owner Mark Merker tried again with Che Cafe, a little joint on 7th Street that featured a rounded version of the empanada--but, sadly, no burritos. Then, sometime during the deep freeze of a few weeks ago, Che Cafe suddenly vanished. The shutters were down. No sign said why. Last night, the lights were on again in the shop, with Mark and his new business partner, Scott, behind the counter. Today, they reopen as Benny's Burritos & Empanadas. The place will be serving, yes, burritos and empanadas, along with tacos, chicken tortilla soup, and more. Said Mark, "We're going to squeeze everything we can out of this little spot." So take a walk by and reconnect with those burritos you thought you'd lost.